OVER 10,000,000 DOWNLOADS AND COUNTING! 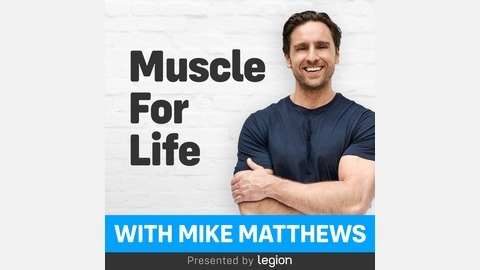 If you want to know how to build muscle, lose fat, and be healthier, happier, and wiser...faster than you ever thought possible...then this podcast is for you. 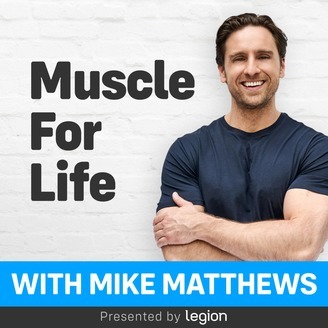 Hosted by the bestselling author and entrepreneur, Mike Matthews, each episode is going to give you simple, science-based know-how and inspiration that will help you build your best body and life ever. Find out more at: www.muscleforlife.com. Meditation has become wildly popular in the past decade or so. So popular, in fact, that’s it’s easy to write it off as another “woo woo” fad, like water fasting, cupping therapy, or lectin-free diets. While the health benefits of meditation are often overblown, it’s hard to argue with the subjective benefits it provides. I don’t have much personal experience with meditation, so I wanted to pick the brain of someone who does: Ben Pakulski. Ben has been through intense highs and extreme lows in his life as a professional bodybuilder, and he’s used meditation to help him grow from these experiences for over a decade. So . . . if you’re curious if carving out some time every day to meditate can actually improve your ability to cope with and benefit from life’s many stressors, this episode is for you. 5:50 - Why are you getting into meditation and what does it do for you? 13:21 - How did it look before and after you had overhauled your ability to focus? 19:57 - Do you find it hard to switch hats from a business man to a family man every day? 21:44 - Have you written down the traits of each of your avatars? 36:59 - What’s your plan for your new venture? 46:07 - What does spirituality mean to you? 51:04 - What’s an example of an altered state of consciousness? 52:18 - What do you think experiencing an altered state of consciousness means? 1:21:28 - Where can people find you and your work?